Clos Lachance has two fairly new wines. CougarJuice and MommyJuice. In the matter of lusty cougars, Peyton Imports was fairly early, with the Urban Cougar. 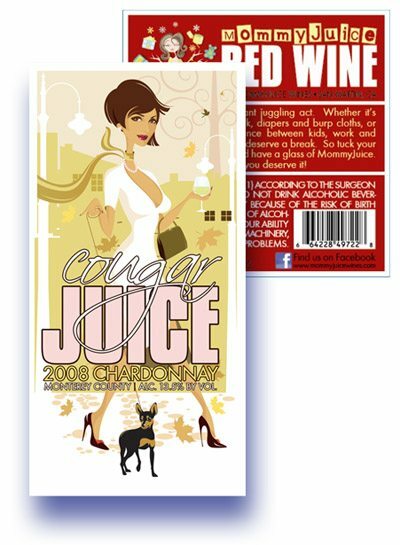 Perhaps she is real, what with this site exhorting over a million members to: “Join CougarLife.com and meet great young guys before they’re snatched up.” Foreshadowing that this theme may be over-ripe, or ripe for a trademark lawsuit, Cougar Juice Vodka slinked into the bar a few months ago.